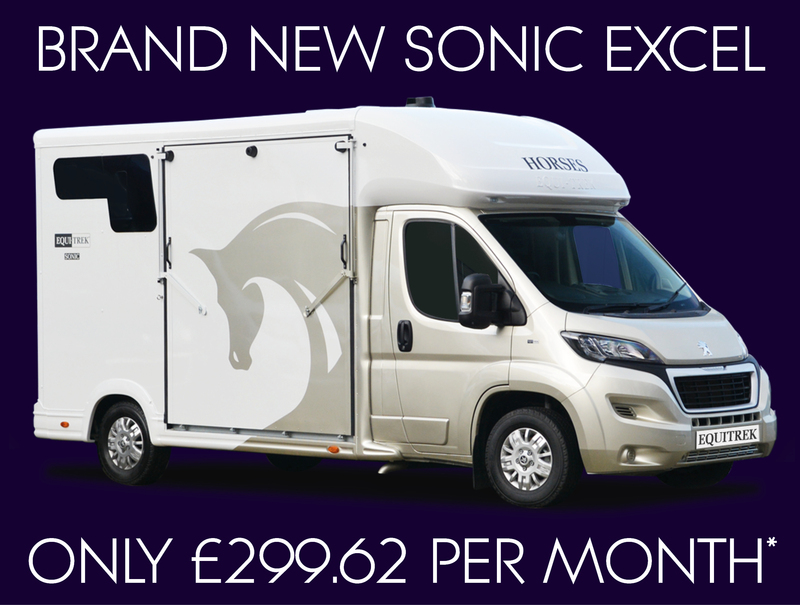 Brand New Sonic Excel - Only £299.62 per month! Please call us now to take advantage of this fantastic deal! *Quotation based on a cost price of £37,798.80 OTR, less a deposit of £12,500.00 leaving a balance to finance of £25,298.80 over 120 months at £299.62 per month, with an Option to Purchase Fee of £10.00 collected with the final payment. APR 8.2%. All figures are subject to credit approval with the rates quoted being subject to revision should there be any change in prevailing interest rates or existing monetary conditions. Financial information may be required for credit assessment. This is an indication of terms provided for discussion purposes only. It shall have no contractual effect and is not binding upon you or us. E&OE. Equi-Trek Limited are authorised and regulated by the Financial Conduct Authority. 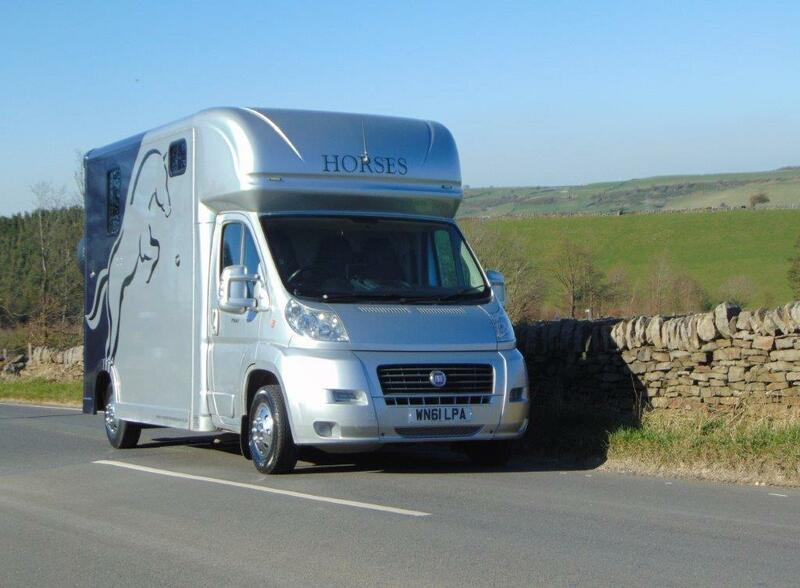 Please note that as of 3 January 2017 Equi-Trek Ltd and Moto-Trek Ltd have moved to an exciting new premises located on the outskirts of Sheffield. 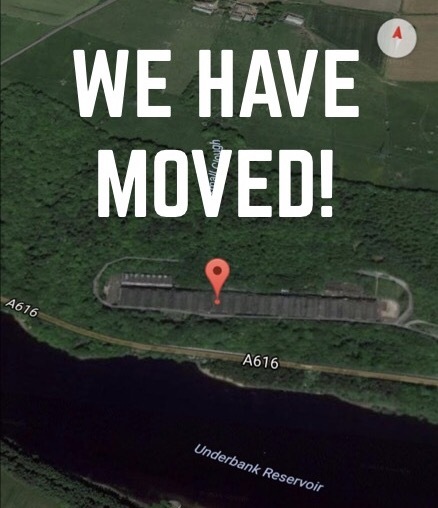 Our new site is set in a stunning location on the doorstep of the Peak District National Park, yet it is only 10 minutes from Junction 36 of the M1 Motorway. Montgomery House, Sheephouse Wood, Stocksbridge, Sheffield, South Yorkshire, S36 4GS. 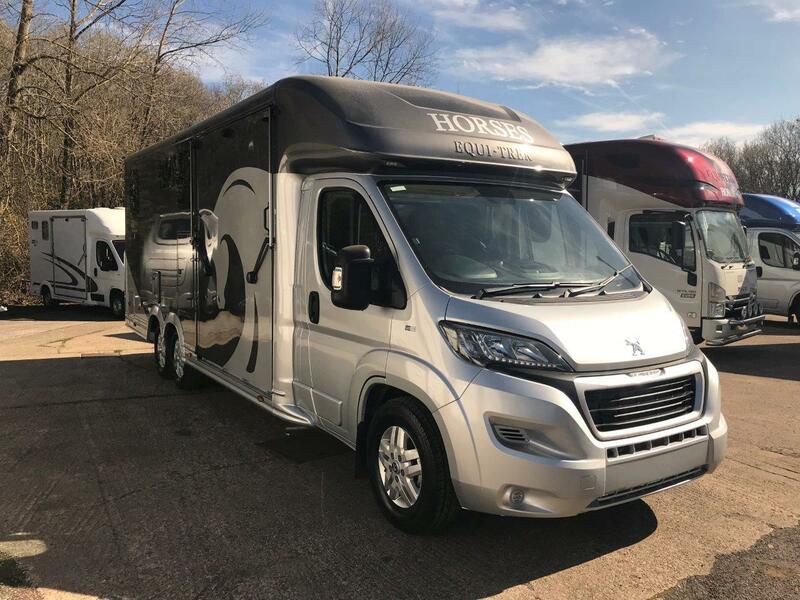 Equi-Trek Ltd are delighted to be able to offer market leading paint and fabric protection products across our range of horseboxes and trailers, professionally applied nationwide by Paintseal Direct. Seals and protects paintwork, ABS and GRP against tree scratches, moss, discolouration from sunlight etc. Low maintenance - no more waxing or abrasive cleaning - just wash, go and enjoy! 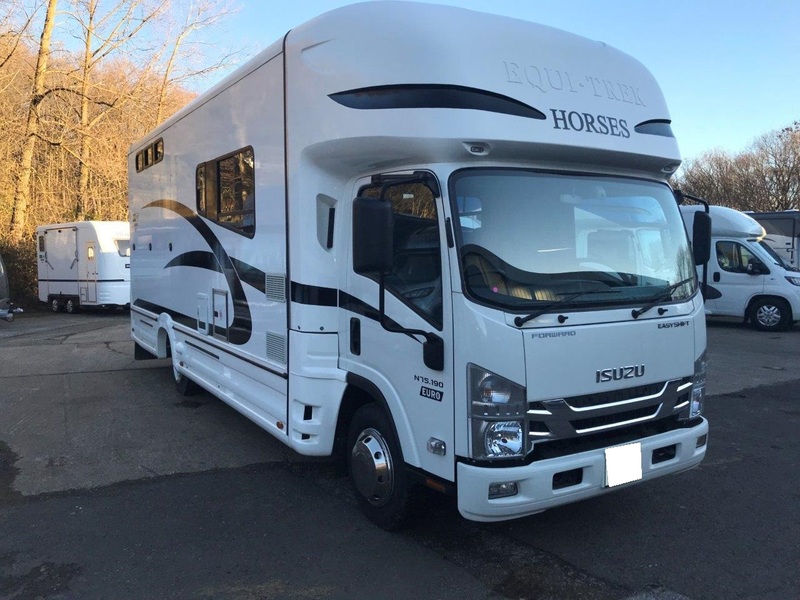 And it’s certainly something he has a strong track record of doing as Managing Director of Equi-Trek, Britain’s leading horsebox manufacturer. In fact, the family run company joined the British Showjumping Business Partnership last year, supporting the International Stairway Series and the Performance Pathway Programme. It’s this passion that drives the business forward in general, with much of Tom’s life revolving around horses. Not only was his mother Hilary a successful showjumper, but he got started with equestrian sport at a young age. Now aged 31, Tom reveals that he no longer rides, because the business he started with his father Ray in the 1990s has expanded to fill his time. 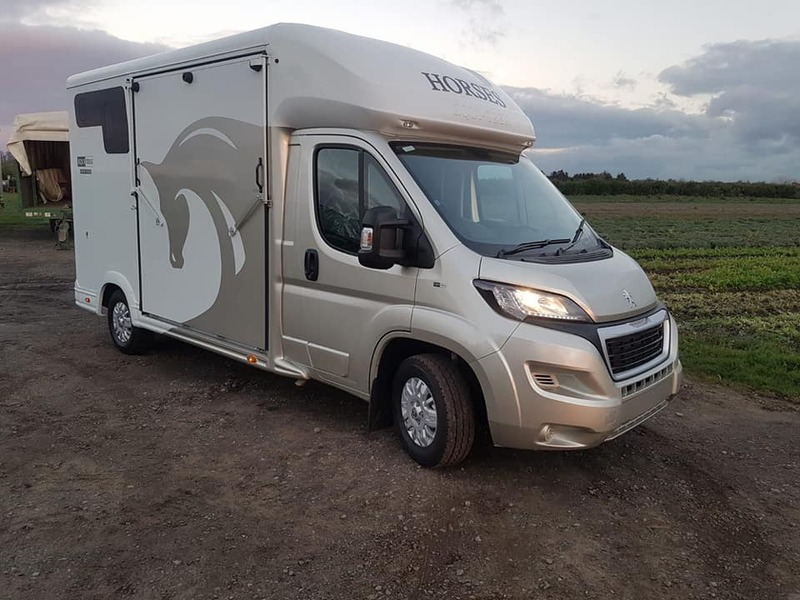 “When we started the business, there were some reasonably large companies doing a good job in horse trailer manufacture, but we saw that the motorised horsebox market looked more like a cottage industry. There were lots of small companies building everything bespoke, rather than building on a production line to make them efficiently. That’s where we saw the biggest gap in the market. Product development has remained at the heart of the business – with safety being highest on the agenda. 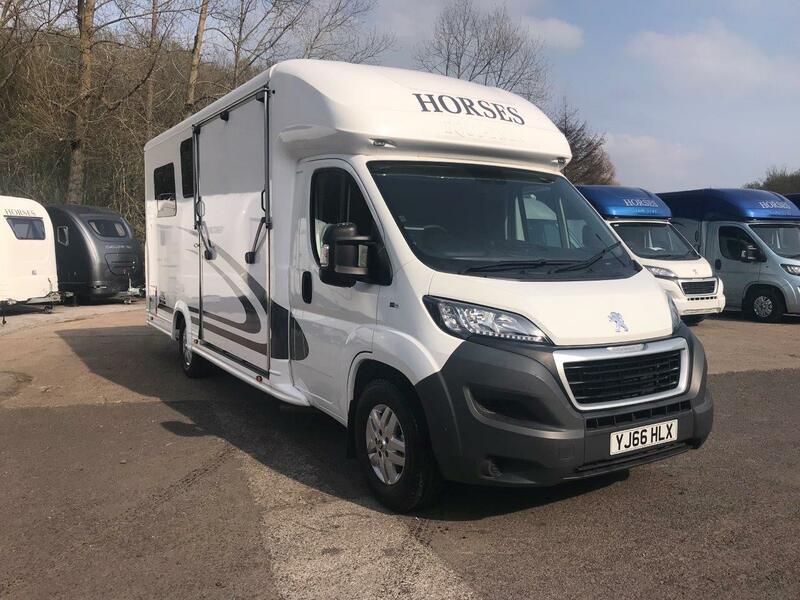 With a whole team of qualified engineers dedicated to meeting international regulations, Equi-Trek was the first horsebox company in the UK to get European Community Whole Vehicle Type Approvals. 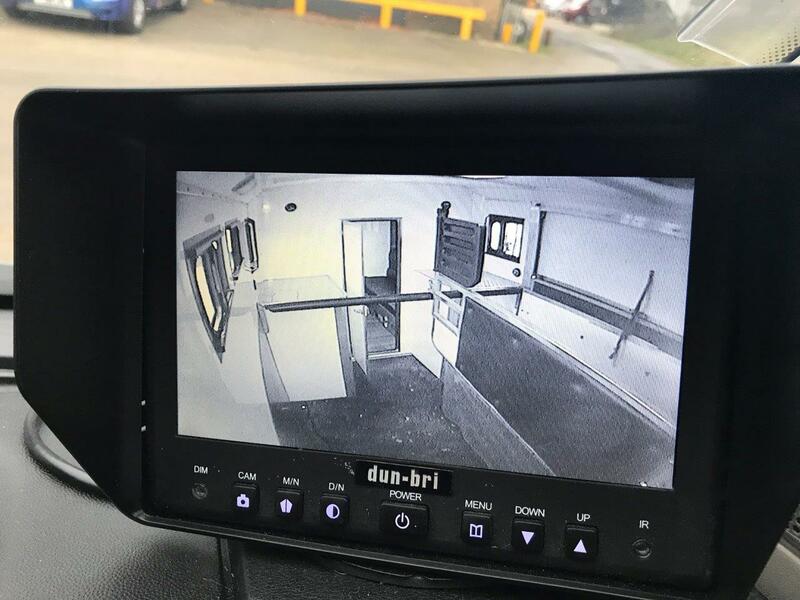 “We’re still one of the very few that are doing it,” Tom explains, “which means customers know the vehicle is going to be safe, because it’s certified by all the authorities. 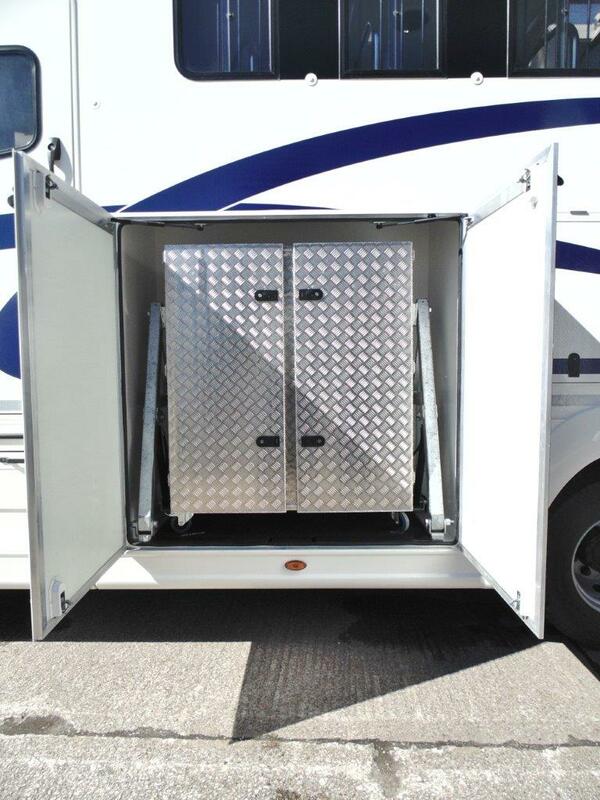 The drive for innovation is still strong too, with Equi-Trek striving to be the best on the market. “We’ve got a research and development department working on a mixture of improving the existing products and developing new ones. But it’s not just the products that Equi-Trek is trying to revolutionise. 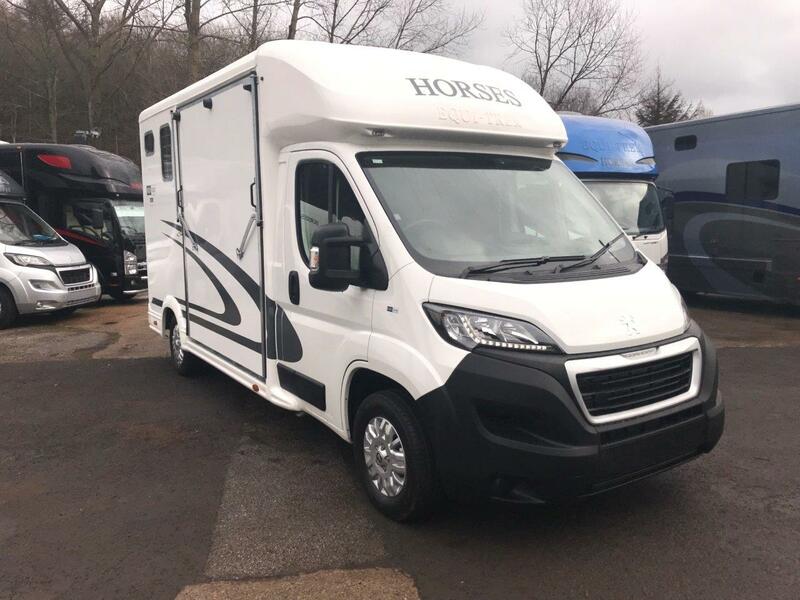 It’s the way people buy horseboxes that needs to change. In terms of new launches, Tom reveals that Equi-Trek is getting ready to launch in the US, taking British-made products to a larger market. “There will be motorised vehicles going out there shortly. We’ve been exporting trailers out there for a while, but we’ve now agreed an exclusive partnership with Ford, so we’re hoping to launch at the end of this year. In spite of the global focus of the business, Equi-Trek is proud to be a British company, employing nearly 200 people in Yorkshire. 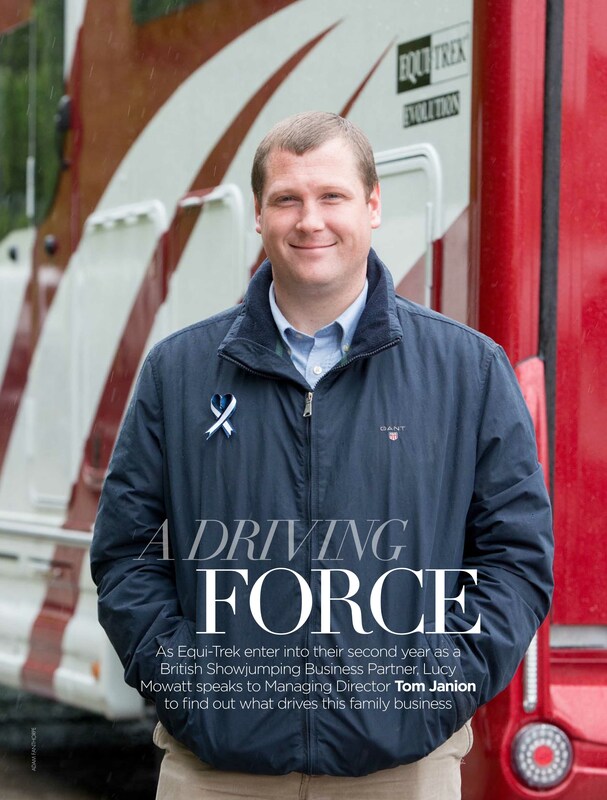 “Everything is built within a five-mile radius [of Equi-Trek’s head office in Holmfirth],” he says. “We’re proud to be British and proud to be in Yorkshire. It also gives us control over product development,quality and more. I’m up at 5.30 every morning and visit every factory before work. The Olympics are fast approaching, and this week the British Equestrian Federation published longlists of athletes and horses with a chance of being selected to compete at the games in their respective disciplines. 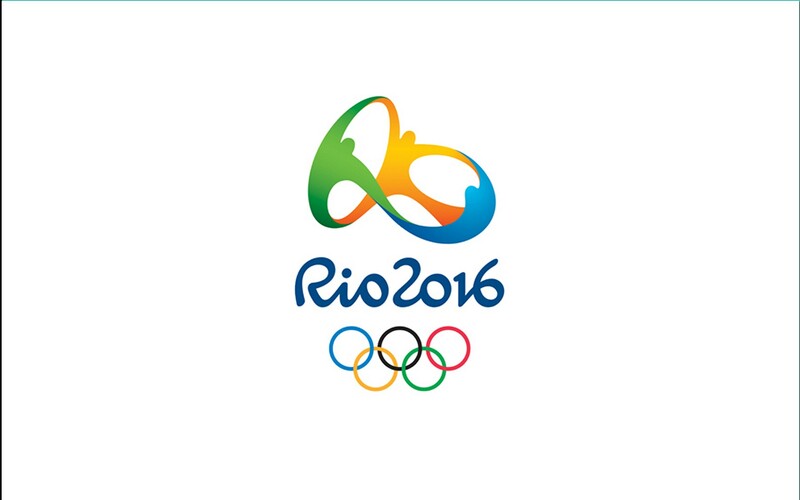 Great Britain has qualified 4 athletes for dressage, 4 for eventing, 4 for showjumping and 5 for para dressage. The dressage, jumping and eventing teams will be announced on July 5th and the Paralympic squad will be announced on the 14th. Andrew Nicholson is the winner of this years CCI3* at the Equi-Trek Bramham International Horse Trials riding Deborah Sellar’s nine-year-old Jet Set IV. The New Zealander was third after cross-country and had fence 10 down, but when the two ahead of him both had more faults, the title was his. 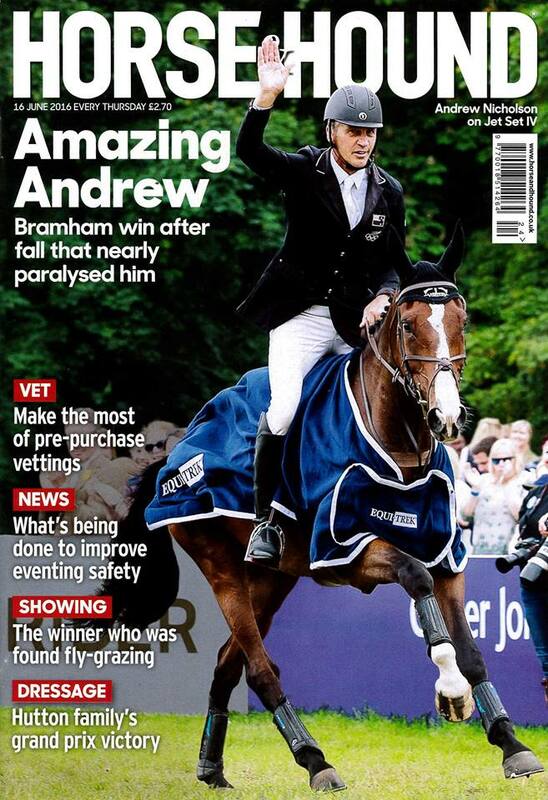 This was Andrew’s first major win since his serious accident at Gatcombe last year. “I thought the course was big when I walked it, but I didn’t want to say anything in case people thought I’d lost my touch,” he said, when asked about why the track caused quite a few problems. As the winner, Andrew will win the use of an Equi-Trek Sonic for a year! 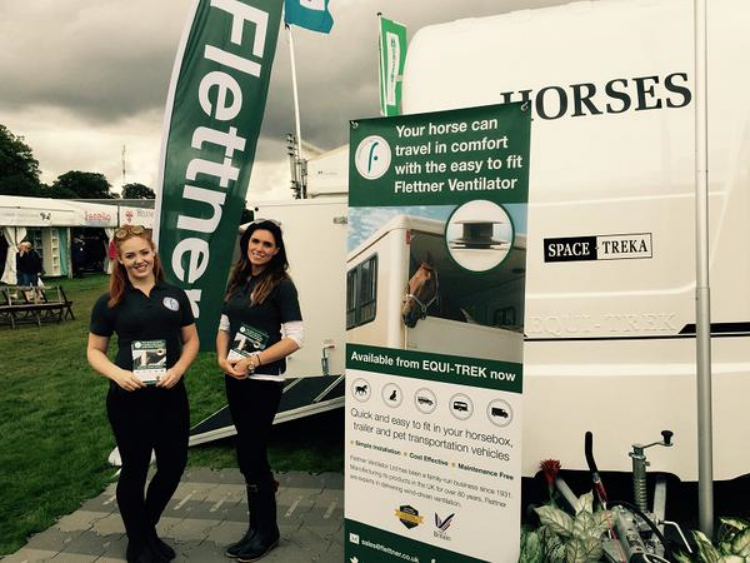 Flettner Ventilator Limited - Focus on horse well-being in partnership with Equi-Trek. Equi-Trek Limited are delighted to announce the launch of our new strategic partnership with Flettner Ventilator Limited, the world’s leader in wind-powered roof ventilation. We will now be offering the ultra-reliable Flettner 2000 ventilator to provide our customers with an additional low cost and maintenance-free ventilation option for their vehicles. 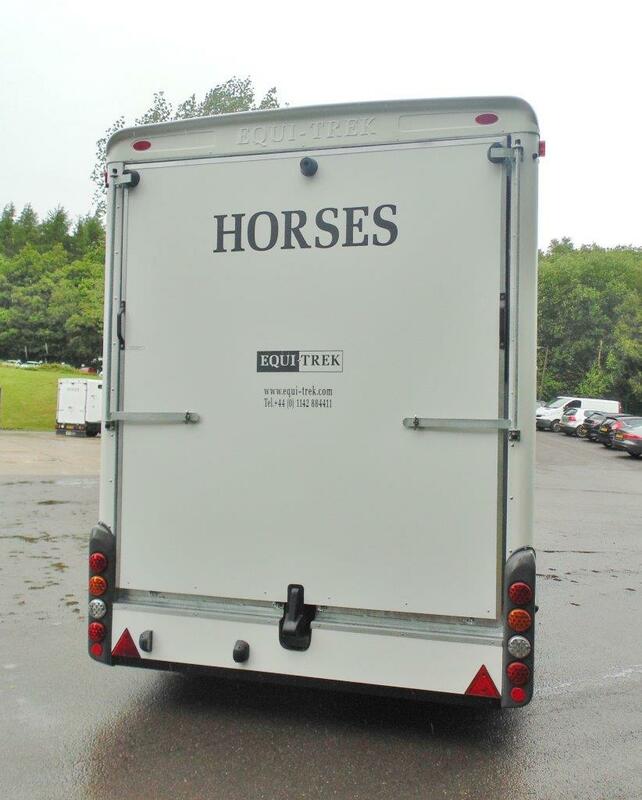 At Flettner our priority is the wellbeing of horses whenever they are being transported in a Horsebox or Horse Trailer. Our wind powered ventilators will help to remove excessive heat and improve the air quality inside the vehicle at a rate that’s only usually possible using an expensive powered solution. With over 80 years of experience in wind powered ventilation, Flettner Ventilator can help maintain a safer and less stressful environment for a horse inside a vehicle. The quality of the air that your horse breathes in has a fundamental bearing on its overall wellbeing, and ventilation is essential during transportation. 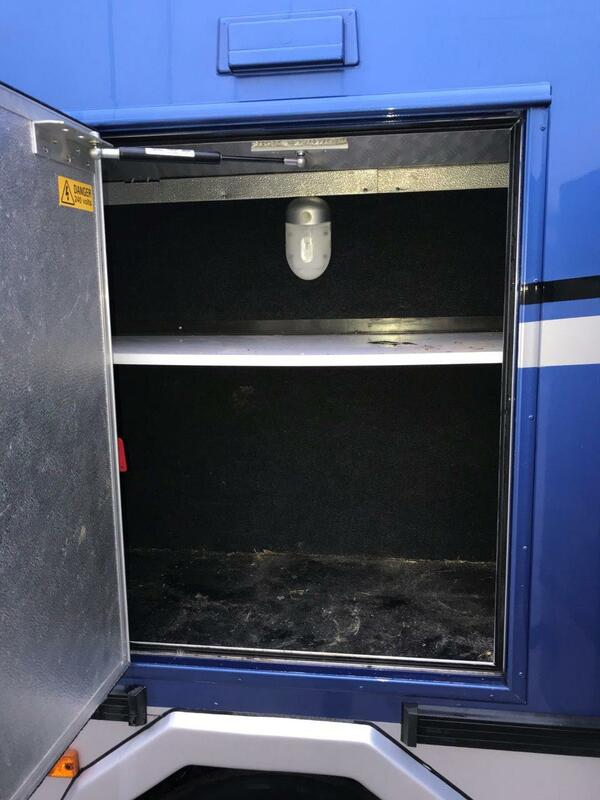 Positive ventilation, as provided by the Flettner Ventilator, will remove excess heat from the horsebox in warmer weather as well as removing any unwanted moisture, odours, ammonia and air borne spores that may have built up. The Flettner 2000 will do this all year round and with no running costs. 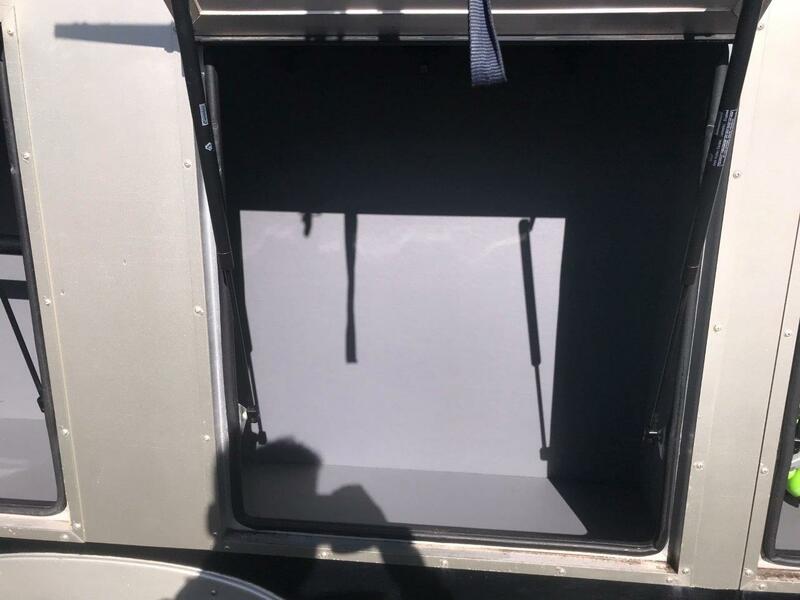 The Flettner roof ventilator works by continuously extracting air when the vehicle is moving, and also when the vehicle is stationary subject to a light breeze. It is significantly more effective that just opening a static vent. Manufactured exclusively in the UK, Flettner ventilators come with a lifetime warranty. Paul Wilson, Business Manager at Flettner Ventilator Limited said: “We have a long history of successfully delivering wind-powered ventilation for a range of applications. 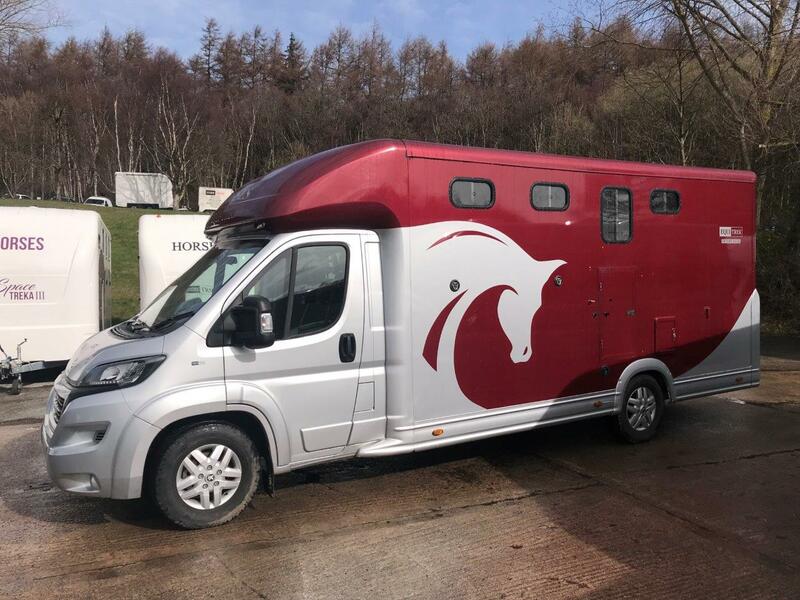 We are absolutely delighted that Equi-Trek are now able to add our Flettner 2000 solution to their portfolio of products”. Tom Janion, Managing Director of Equi-Trek said: “The simplicity and efficiency of the Flettner 2000 is important to us and our customers. With no maintenance required and no on-going running costs I feel it’s a great option. Flettner ventilators will be available from all of our dealers”. Flettner Ventilator will be presenting the product on the Equi-Trek stand at the Great Yorkshire Show on 14th, 15th and 16th of July. 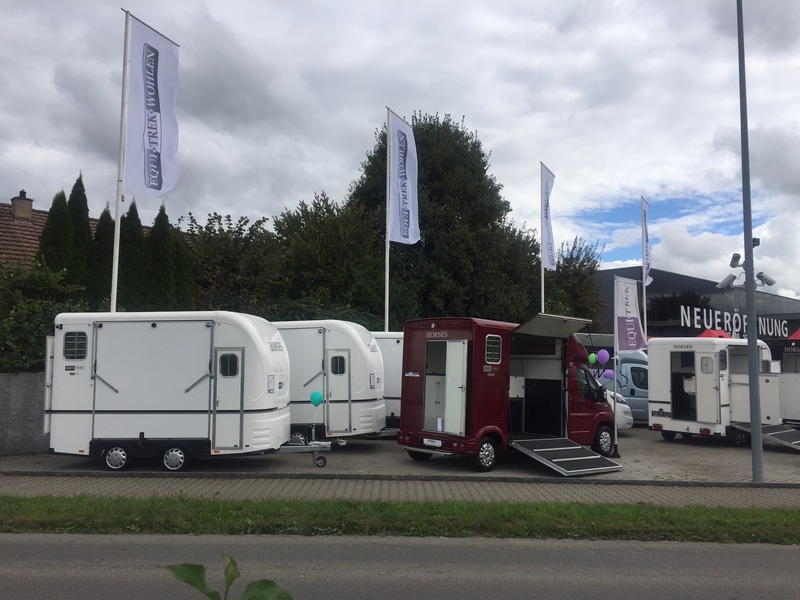 Equi-Trek have agreed a two year partnership with the British Equestrian Federation (BEF) as their ‘Official Supplier of equestrian trailers to the British Equestrian Team’ until the end of 2016. 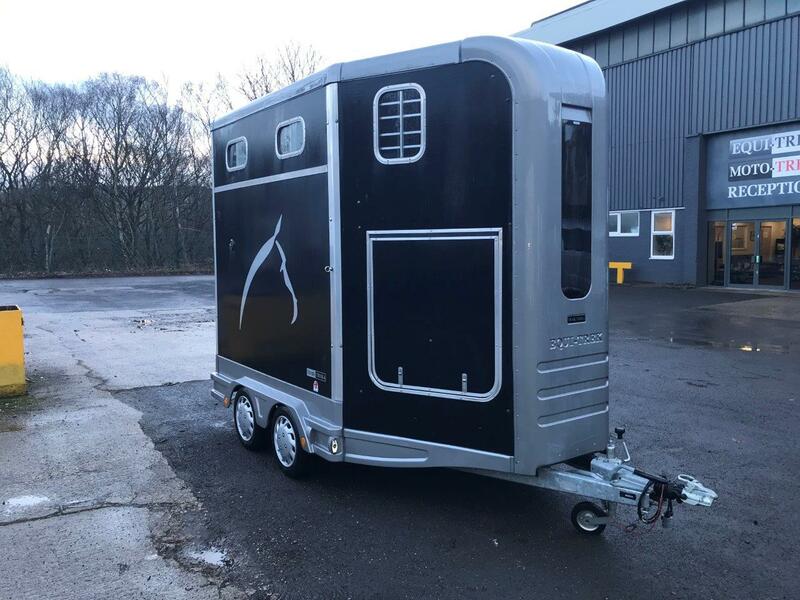 Equi-Trek will be providing two trailers - a Cyclone 100 and a Space-Treka III - for use by the Equestrian World Class Programme and British equestrian athletes throughout the season. 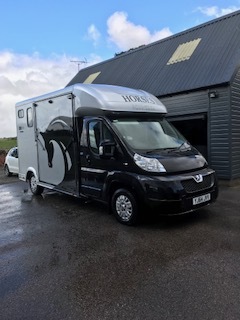 One of the units, which has been fitted out as a mobile physiotherapy and veterinary unit, made its debut at the Mitsubishi Motors Badminton Horse Trials last month, and will be heading up to the Equi-Trek Bramham International Horse Trials next week (11-14 June) to provide support to British riders during the event. Funded by the National Lottery, the World Class Programme identifies talent, develops potential and supports Team GBR to win medals at the Olympic and Paralympic Games and other major equestrian Championships. 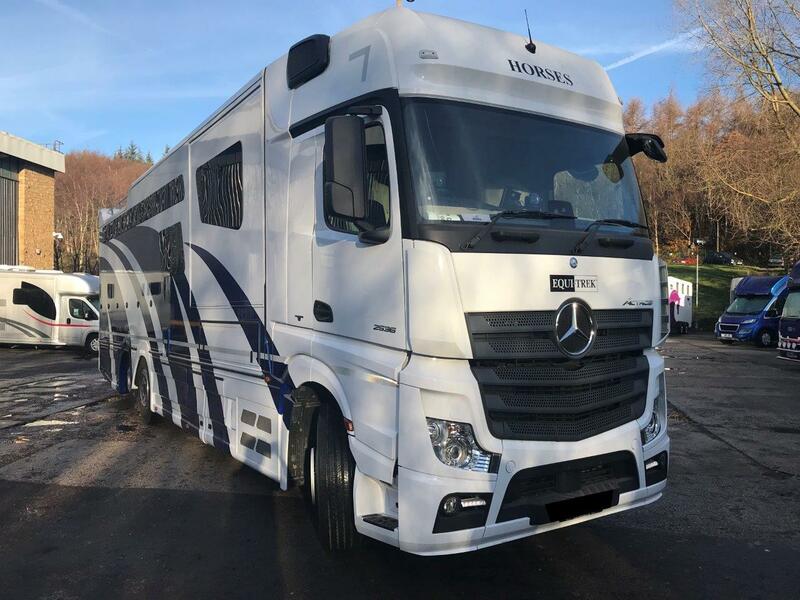 Tom Janion, Managing Director of Equi-Trek commented; “We are delighted to have been appointed by the British Equestrian Federation as official trailer supplier to Team GBR as they prepare for the forthcoming European Championships”. 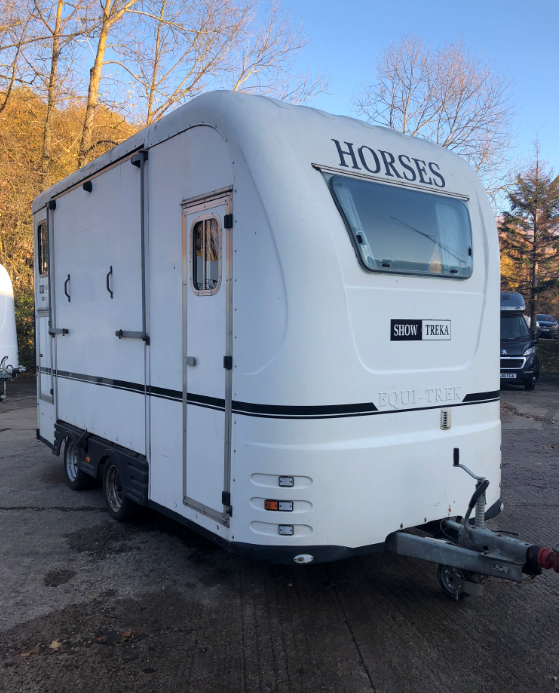 Equi-Trek are the largest producer of horseboxes and trailers in the UK and the only British company to manufacture a complete range of horse transport from lightweight, towable trailers up to 26 tonne luxury horseboxes for over 10 horses. Equi-Trek will sit alongside an impressive list of Official Suppliers, including but not limited to; Land Rover, Toggi, Dodson & Horrell, Natural Animal Feeds, NuuMed, Point Two Equine and TAGG Equestrian. Equestrian Team GBR covers all the equestrian Olympic and Paralympic disciplines, our non-Olympic FEI disciplines and youth teams.